What is a Whole Home Humidifier? :Delfera Heating and Cooling Co.
A whole home humidifier is used to improve your indoor air quality and is designed to deliver the perfect amount of moisture to your home, removing the dry air that can damage your families health and home. Viruses tend to thrive in dry air (low-humidity environments) which can increase the likelihood of getting colds, flus and other respiratory ailments . A dry environment can make people more susceptible to infection. Dry air is known to aggravate asthma and other symptoms like to bloody noses, sore throats and cracked, itchy skin. Also, ever get shocked by static electricity in your home? Moisture in the air prevents static electricity from building up! Dry air can also damage many things in your home, such as wood floors, woodwork and paint, causing wood and paint to shrink and crack. Supplying your house evenly with the proper amount of humidity can protect your home and its contents from the effects of dry air. 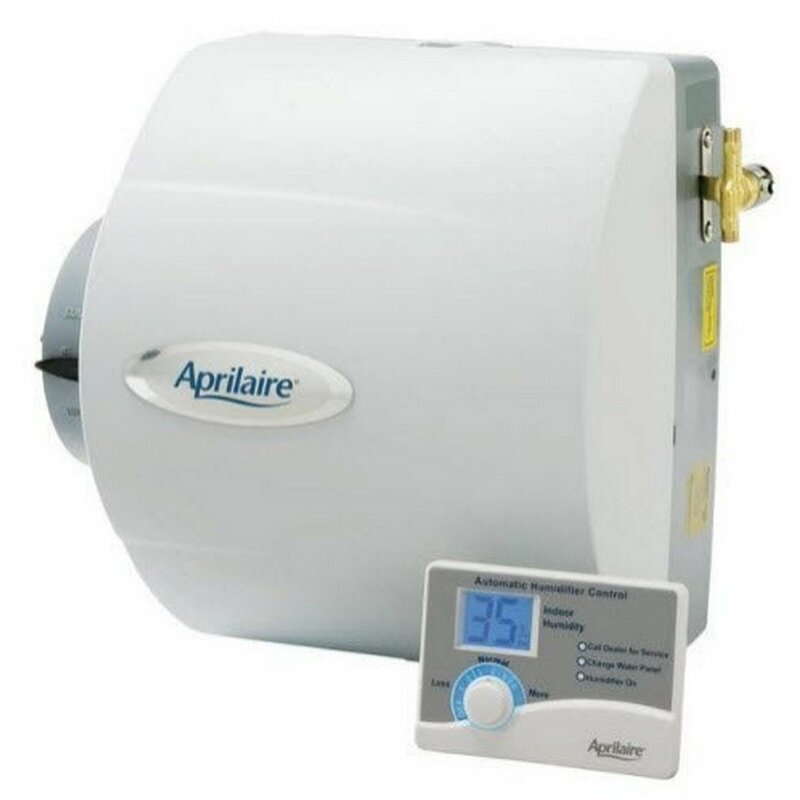 At DelFera we highly recommend the Aprilaire Whole Home Humidifier which offers a Fully Automatic Digital Control, this set-it, forget-it control keeps your home’s indoor air quality at optimum levels. Are you ready to purchase a whole home humidifier for your home? DelFera is offering a $75 off coupon to anyone who mentions this blog! Call us for more information at 610-566-0900.
you allow guest posting on your blog ? I can write hi quality posts for you. Thank you! For inquiries regarding guest blogging, please feel free to email us at info@delfera.com! No one can say it better than you. Believe me, I know. Whole house humidifier helps everyone in the house with dry air problem. It also helps indoor plant, Wooden furniture, expensive painting, pets. well! it helps me with this problem at least. Thanks for sharing all this important information with your reader. Thank you for checking out our blog, and yes it is known to help indoor plant life, wooden furniture, etc. !